Whether to “redshirt” a 5-year-old is a tricky topic that parents should weigh carefully, experts say. With school sign-up time approaching, this is the time of year many parents have to ask a tricky question: Is my child ready for kindergarten? And if the answer is no, they wonder whether to “redshirt” the child — a term borrowed from sports that means holding kids out of school for a year to give them more time to grow academically, physically or socially. 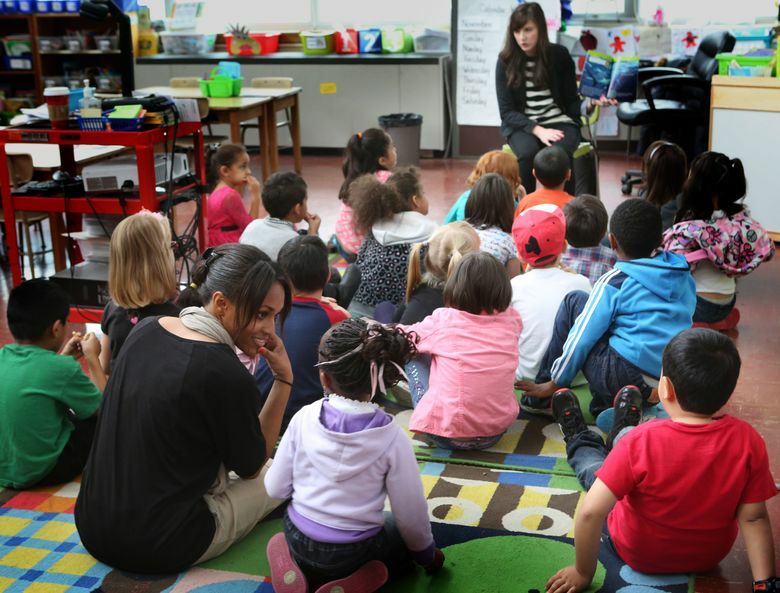 In Washington, students must be 5 years old on or before Aug. 31 to enroll in kindergarten. But state law doesn’t require that students enroll in school until they’re 8, so parents can keep them at home or in child-care programs for an additional year — or more. The redshirt group is relatively small — about 6 percent of Seattle kids who started kindergarten last September were 6 years old, according to Seattle Public Schools. That mirrors national data, which also shows that boys are redshirted more often than girls, and parents who are college graduates are more likely to redshirt their kids. The research is mixed on whether waiting a year is a good idea. Proponents say kids who are older might have a leg up later in both academics and sports. A 2015 study from Stanford University found that students who waited a year had significantly lower levels of inattention and hyperactivity, and those benefits persisted until age 11. But others say children who seem ready for kindergarten should go, regardless of age. There are no guarantees that being the oldest means a child enters kindergarten with the necessary skills and maturity, said Soojin Oh Park, a former elementary-school teacher and now a UW College of Education professor. And a National Bureau of Economic Research study from 2008 suggests that kids who started school later tended to be less motivated and had lower lifetime earnings as adults. Either way, parents shouldn’t stress too much. Schools are prepared to work with a range of kids, Missall said, and there’s no specific baseline that each student needs to cross to prove they’re ready. “While this is a difficult decision to make, I would assure parents that one way or another a child is likely going to thrive and do well whichever path the parents choose,” Park said. Academic: Kids are prepared for the kindergarten curriculum if they know their letter names and the sounds some of the letters make, names of shapes and how to count to nine, says Missall, who previously worked as a school psychologist. They should have an interest in reading and writing and might show that by pointing to text on a page or writing a pretend letter, according to the state’s Department of Early Learning. Learning skills: This is one aspect teachers rate the most important. Will the students be able to sit still on their own, raise their hand and follow the teacher’s directions? Social: Does the child know how to make friends and connect with others? That isn’t necessarily a predictor of school success, but can predict how much he or she will like and adjust to school. So what should a parent do for a boy who turned 5 on Aug. 12 but knows his shapes, colors and letters? Missall says she would send him to kindergarten.